Tickets are non-refundable, but can be exchanged up to 14 days before the date of the event. Once purchased, tickets are not eligible for refund unless the Event Provider cancels the event and does not subsequently reschedule it. In such a case, only the face value of ticket will be refunded. If an event is cancelled or rescheduled we will take reasonable steps to contact you using the contact details that you have supplied. We cannot be held liable for misinformation and we cannot be held liable if we are unable to make contact with you for whatever reason. Outdoor events will take place regardless of the weather conditions unless the Event manager judges that the safety of attendees is jeopardised. In this case, the event will be postponed. An exchange may be offered as an alternative. Refunds or exchanges will not be offered as a result of poor weather conditions. For age restricted films such as 12, 15 or 18, in accordance with the law, no person under the specified age will be admitted. Please do not purchase tickets for any person under the required age as entry will be refused without refund. If any member of The Event Provider’s team is in doubt of the guest’s age then the guest will be asked to provide photographic ID (accepted forms of identification are UK/EU/International Passports, National Identity Cards and Valid Driving Licenses). Only original documents will be accepted as proof. Refunds will not be provided to those who are not admitted to the event as a result of failure to provide acceptable identification. If the film certificate is 18, then we will be practising the Challenge 25 policy. If you are lucky enough to look under the age of 25 then please be prepared to show ID to prove that you are over 18. In all cases and where the film is age-appropriate, all guests under the age of 16 must be accompanied by an adult (18+). The event provider reserves the right to refuse entry to all under 16’s unaccompanied by an adult. If you have purchased an age related ticket (such as a child/family or concessionary ticket) you must provide a valid pass or proof of age to access the event if requested. In the event your card or identification is not acceptable as proof of concessionary status then the Event Provider reserves the right to require an additional payment to cover the full ticket price or refuse entry without a refund. 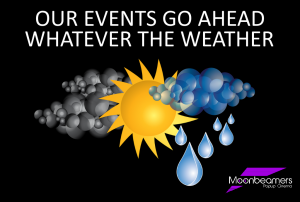 Cancellation of an event is at the discretion of Moonbeamers or the Event Provider and can be made prior to or during an act or movie screening. Late arrival may result in non-admittance until a suitable time during the film. 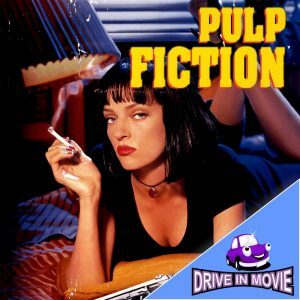 All positions in the event area including Drive-ins are non-reserved and are allocated by the Event Provider team upon arrival on a first come first served basis. If alcohol is sold at the event it may only be bought and consumed by guests aged 18+. It is an offence for any minor to attempt to purchase alcohol and any underage ticket holders attempting to purchase alcohol will be ejected without a refund. Identification will be required and if you purchase alcohol. We reserve the right to refuse the sale of alcohol to any person for any reason at any time. We will be practising the Challenge25 policy, if you are lucky enough to look under the age of 25 then please be prepared to show ID to prove that you are over 18. The Event Provider team reserves the right to eject or refuse entry to any person who is/are under the influence of alcohol or drugs and/or causing a disturbance to others; such person will not be entitled to a refund or exchange of tickets. At some events we may disallow the bringing and/or consuming of food and drink other than that purchased on the premises. If the event is affected by this rule it will be publicised on the event webpage at moonbeamers.co.uk and will form part of the terms and conditions. Violent or antisocial behaviour will not be tolerated and will result in police action and subsequent prosecution. Patrons must remain within permitted areas only. The Event Provider reserves the right to add, withdraw, reschedule or substitute film titles or acts and to vary advertised prices, venues, parking arrangements, audience capacity, catering or facilities without notice. Moonbeamers or The Event Provider cannot be held responsible for vehicles or their contents. The Event Provider is not liable for any damage or loss you suffer at the event (including without limitation personal injury or damage to or loss of property) save to the extent caused by the negligence of the Event Provider or its staff. The Event Provider’s liability in respect of loss or damage caused by its own negligence shall be limited to the price paid for entry to the event. Entry to the event site is at the discretion of the Event Manager and/or The Event Provider. Both reserve the right to eject any guests without refund for reasons of security and/or safety. The Event Provider’s decision in this regard is final. Strictly no trading or promoting is allowed within the event site without the express written permission of the Event Provider. The Event Provider cannot be held responsible for any issue or injury caused or related to any third party product, property or staff member including, acts, catering, stewards and other staff members. Moonbeamers reserve the right to amend terms and conditions without notice. These terms and conditions are subject to the law of England and Wales and any dispute or claim arising out of or in connection with them or their subject matter or formation (including non-contractual disputes or claims), shall be governed by, and construed in accordance with, English law, and the parties irrevocably submit to the exclusive jurisdiction of the courts of England and Wales.